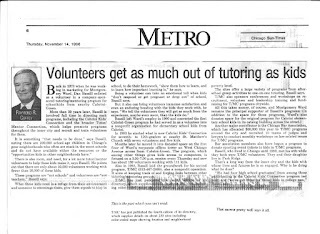 I encourage you to take a look at this pdf of a Jan. 25, 2012 Streetwise article about the Tutor/Mentor Institute's support of mentoring and tutoring. 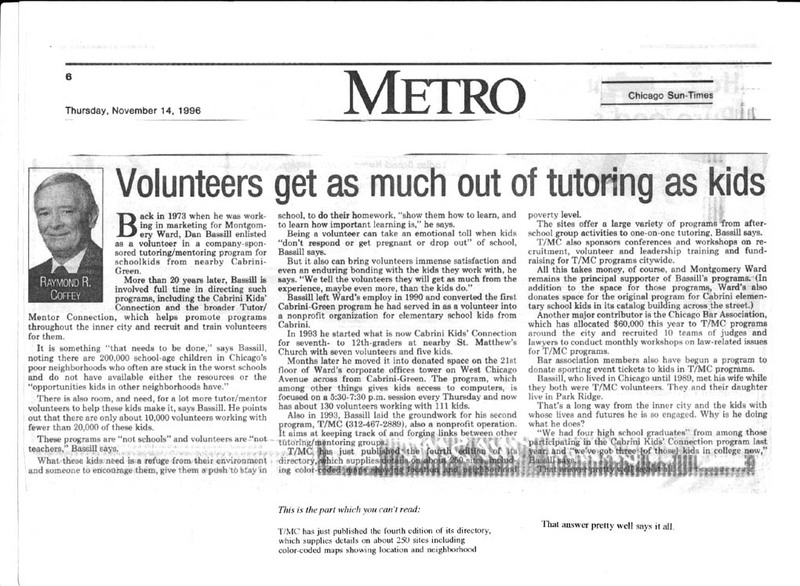 One of the strategies I've followed since 1993 is to try to get more media coverage of tutor/mentor stories so more people might become volunteers, donors, leaders in support of one or more programs in the Chicago region. The story below was in the SunTimes in 1996. You can see the pdf here. Take a look at this full list stories. 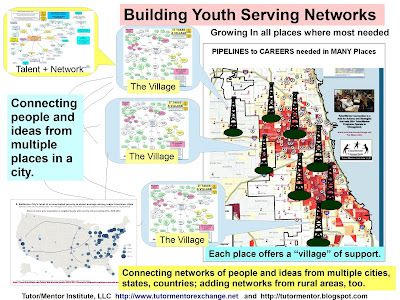 I've been able to generate this level of media coverage because of the strategy I propose which supports the growth of mentor-rich programs in all poverty neighborhoods of the city, not because of a big advertising and PR budget or celebrity name recognition. 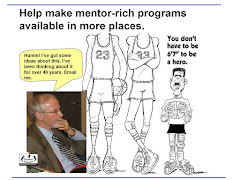 Thus, imagine how much media coverage a business, professional association or celebrity might generate if they were to adopt the Tutor/Mentor Connection strategy and invest their own time, leadership and dollars. Thank you Streetwise for the great coverage!